This chimichurri sauce was such a hit the other night and I have been asked over and over again for the recipe. What is so nice about this particular chimichurri is that it is not too spicy. I don’t think there is a chimichurri that I don’t like, however, some can be spicier than others. For a crowd pleaser, I try to go the safe route so everyone can enjoy the meal. 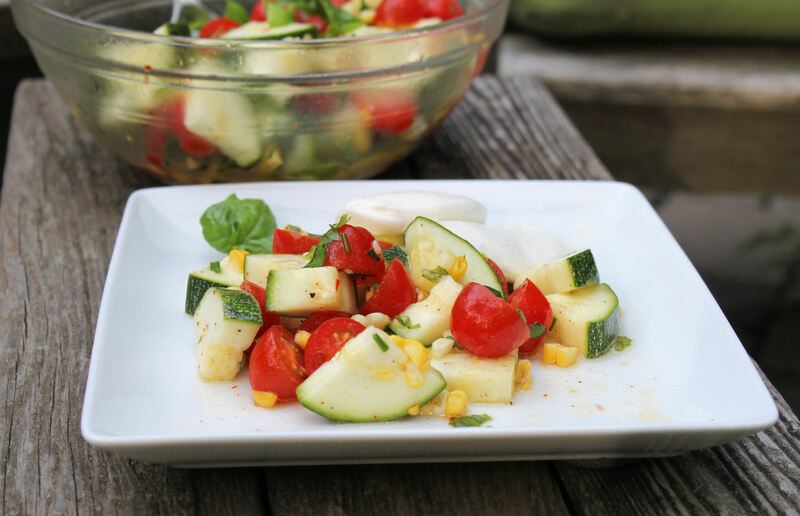 This recipe is refreshing, tangy, and packed full of flavors. Perfect for steak, chicken, and even seafood. 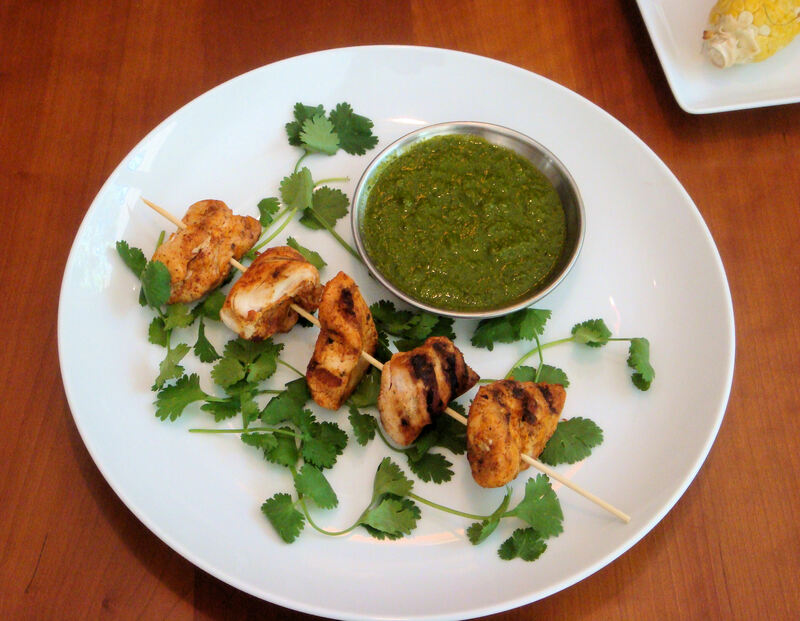 I am adding my chicken kabob recipe (bottom) that pairs perfectly with the chimichurri sauce. The marinade is nice and light with citrus and a touch of cumin and cayenne. 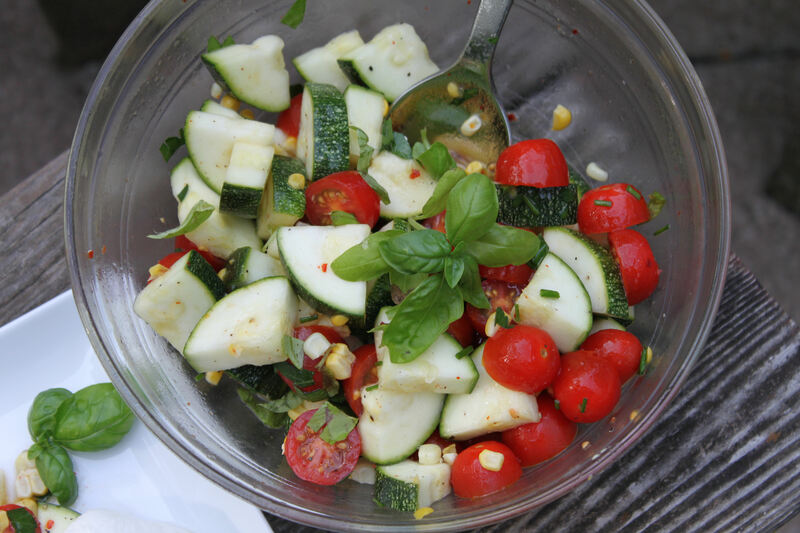 This makes for a wonderful healthy meal. Enjoy! Place the garlic, parsley, cilantro, and basil in a food processor or blender and pulse until the mixture is finely chopped. With the machine running, pour the olive oil through the feed tube. Add vinegar, Tabasco, cumin, cayenne, salt, and pepper, process until combined. With the machine running, pour the olive oil through the feed tube until it is fully incorporated. Add the juice of the limes and puree until smooth. Taste and add additional salt and pepper to taste, if necessary. Reserve the chimichurri sauce in the refrigerator. Once ready to use, remove it from the fridge and let sit out for at least 10 minutes as the oil in the sauce will have hardened. Stir well to combine. In a large bowl, combine orange zest, chili powder, 1½ tsp. salt, and pepper. Add chicken and toss to coat. Place the chicken in a resealable bag and squeeze the juice of the orange and lime into the bag. Remove the air out of the bag and seal. 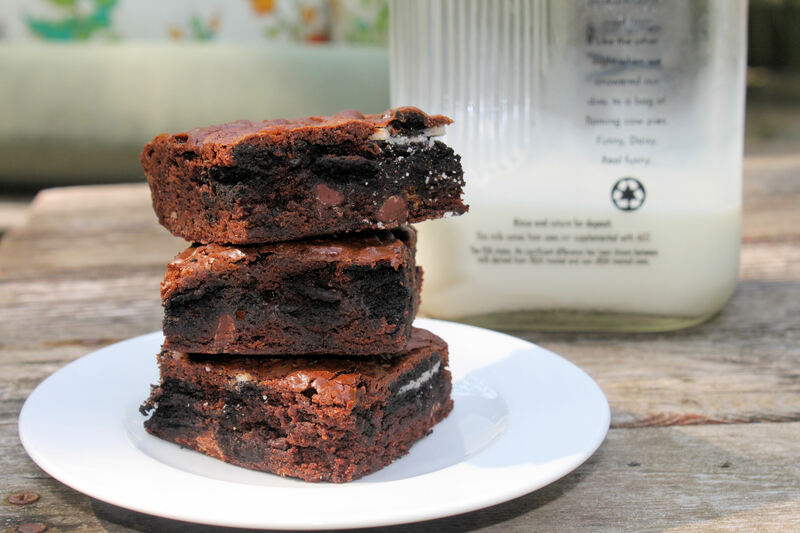 Refrigerate for at least 30 minutes and up to several hours. Thread chicken pieces onto skewers. Prepare the grill and grease the grates with some canola oil. 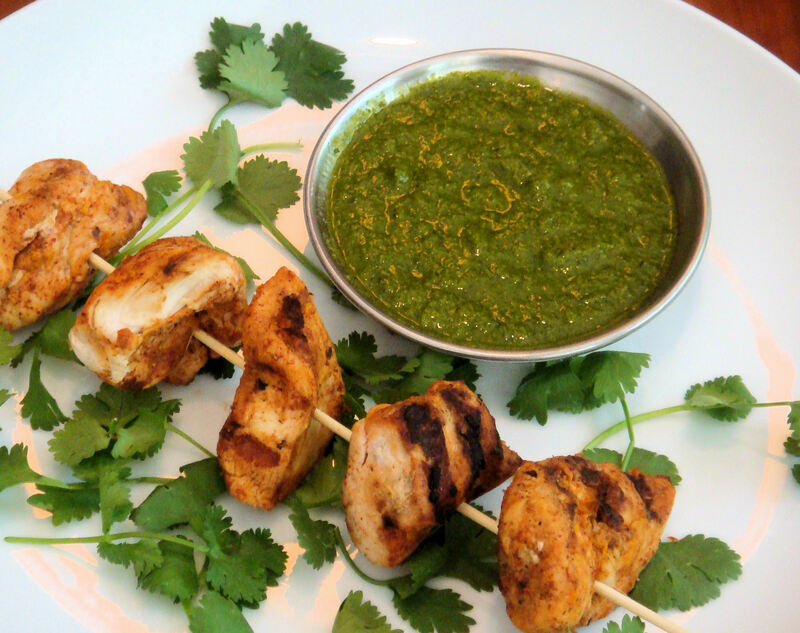 Arrange skewers on grill and cook, flipping once, until chicken is cooked through and golden brown, 6-7 minutes per side. Remove from heat and let sit for 5 minutes before serving. 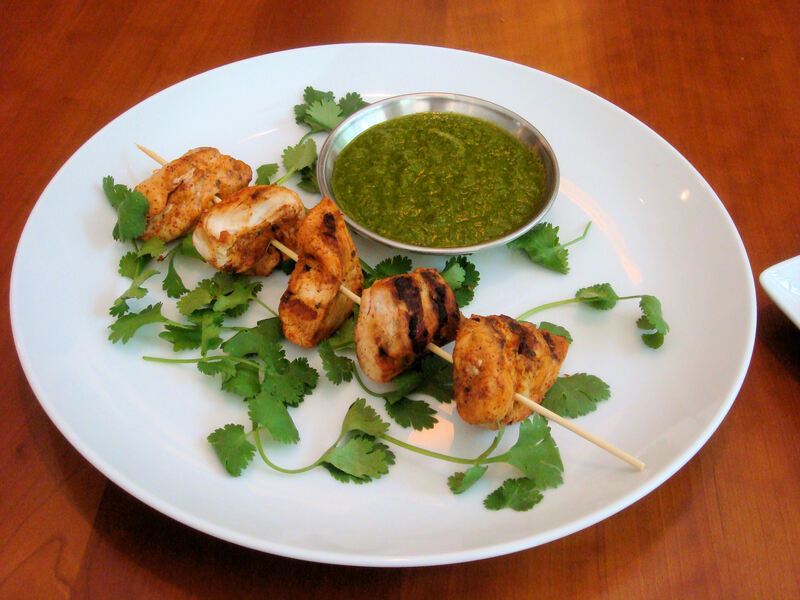 Place kebabs on a platter and spoon chimichurri sauce over the kebabs. Place any additional sauce in a small serving dish and set on the side. Serve immediately. 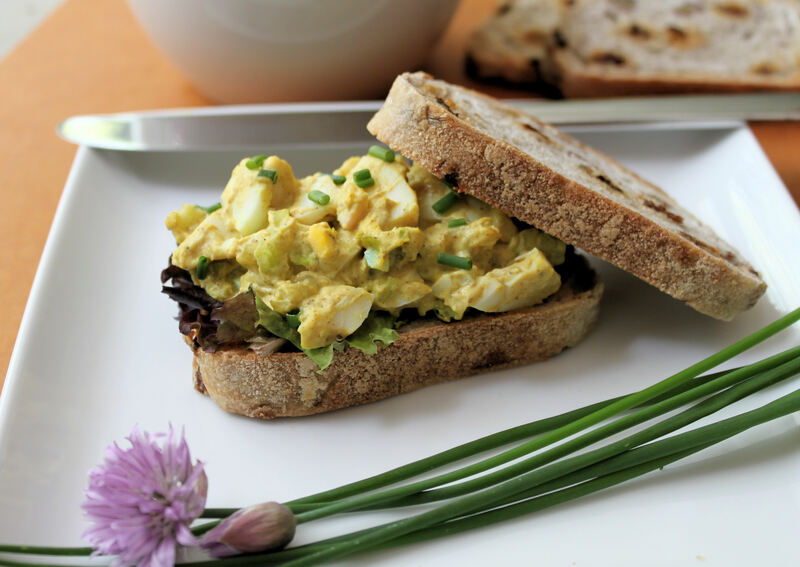 What is it about egg salad sandwiches? I have yet to meet someone who does not enjoy an opportunity to use leftover eggs for such a treat. This recipe turns yesterday’s eggs into today’s meal. 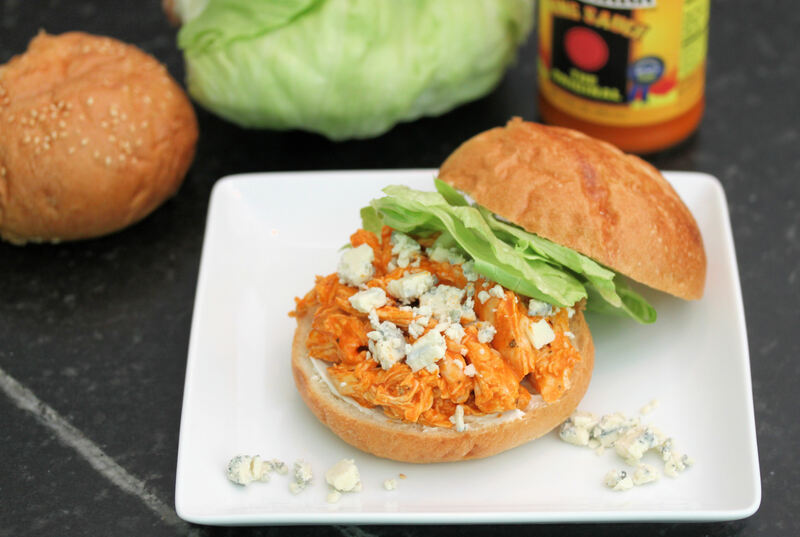 A hint of curry powder adds a bit of spice that transforms the flavors with an ethnic flair. Freshly sliced raisin bread pairs perfectly with the egg salad as the salad as it add a touch of sweetness to the sandwich. Pumpernickel or pheasant bread will work just as nice. Place the eggs in a saucepan and add enough water to cover. Bring to a boil, cover, remove from heat, and let sit for 12 minutes. Rinse the eggs under cold water, peel, and coarsely chop. Eggs can be set aside or refrigerated until ready to use. 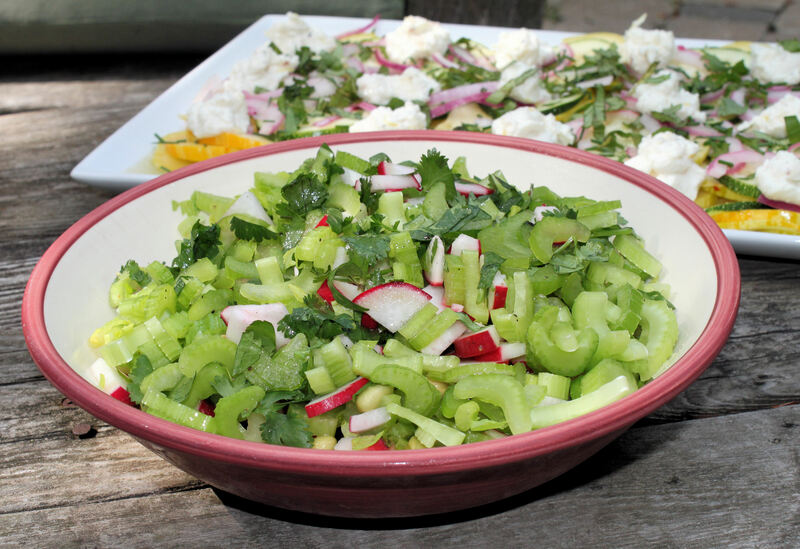 In a medium bowl, combine the mayonnaise, sour cream, curry powder, chives, and celery seed. Fold in the eggs, celery, and raisins; season with 1 teaspoon salt and 1/2 teaspoon pepper. Stir to combine all the ingredients. 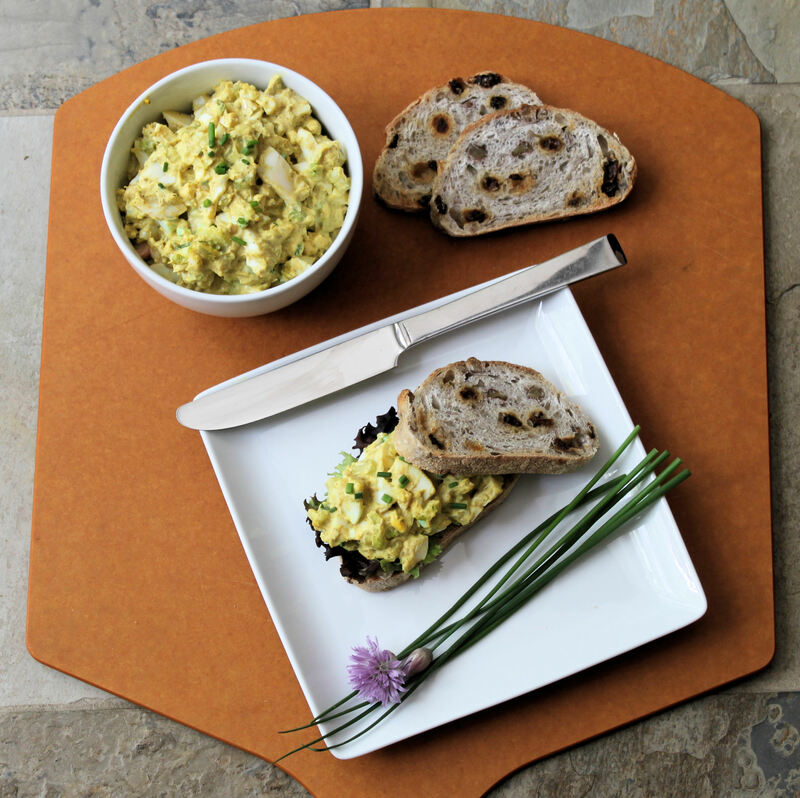 The egg salad will take on a rich yellow color as the yolks are stirred in as well as the curry powder. Place the lettuce or arugula on the freshly sliced bread. 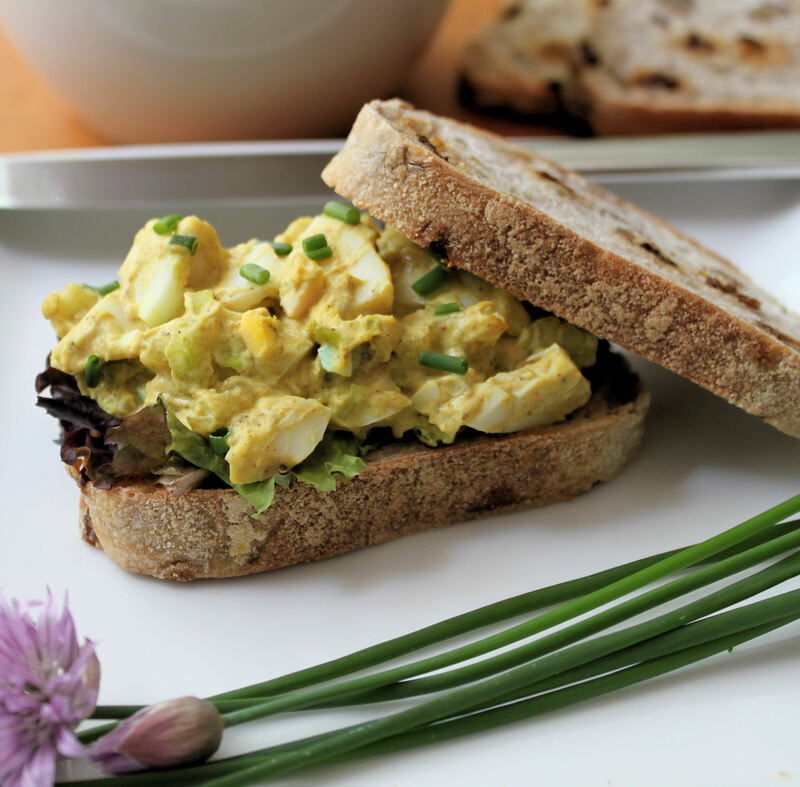 Divide the egg salad on the sandwiches and serve. Bon appetit! 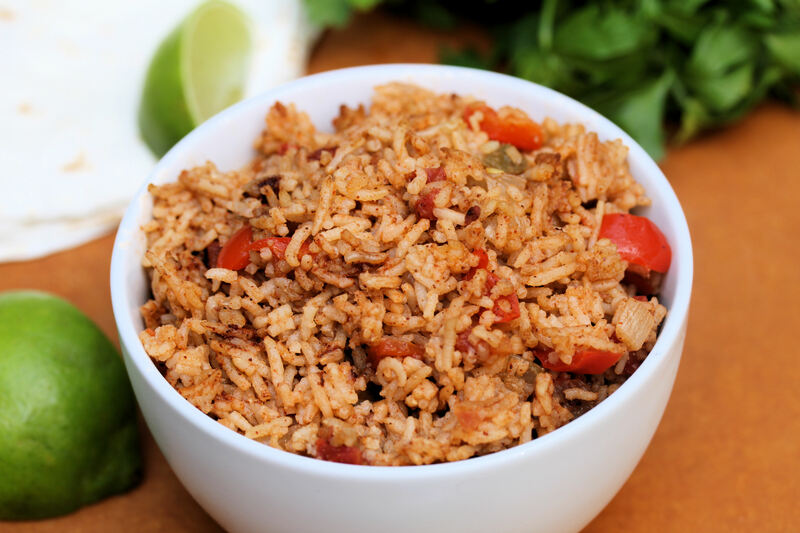 For years I have wanted to have my own spanish rice recipe similar to those you find at Mexican restaurants. 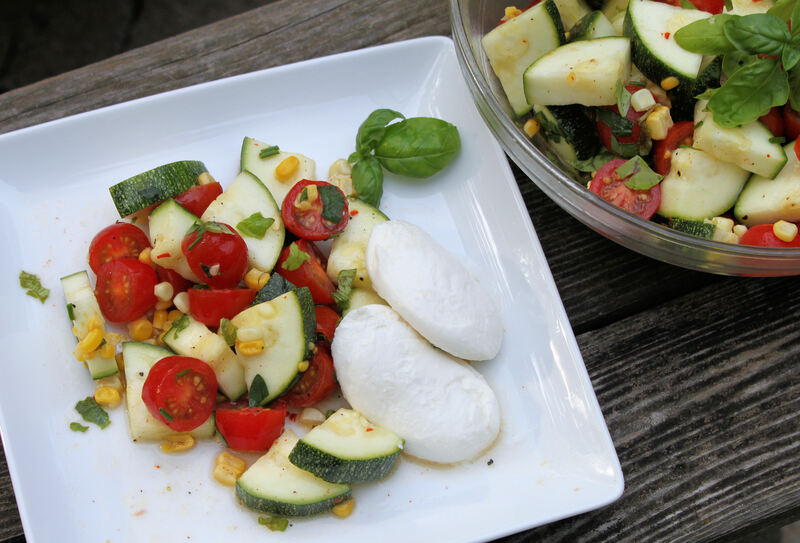 This recipe comes as close to restaurant style as you can find. 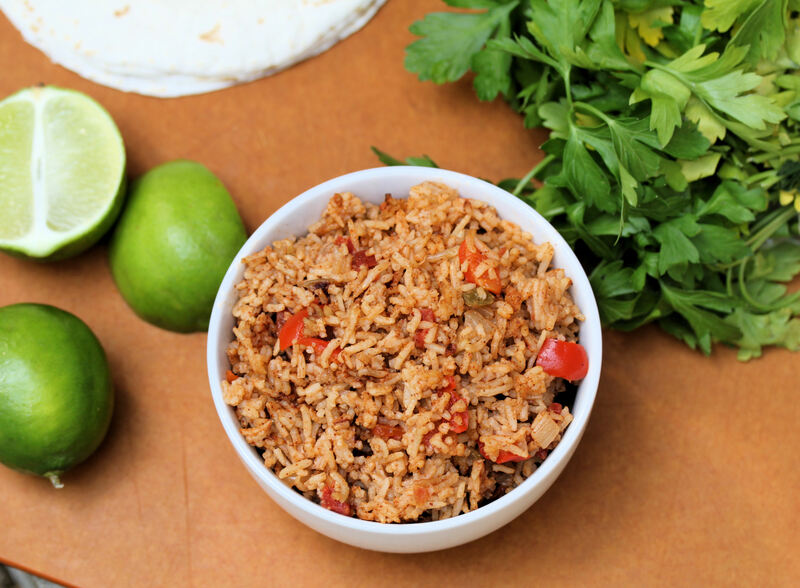 Perfect for those Tex Mex evenings when going to your local mexican restaurant is not an option. 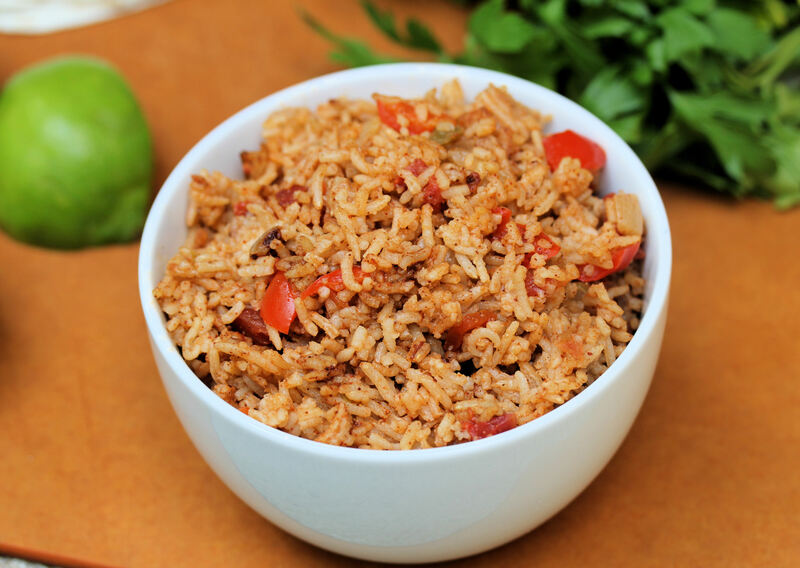 This colorful rice is easily accomplished by adding the sauteed onion, bell pepper, chili powder, cumin, diced tomatoes with green chilis, and simmered in broth. 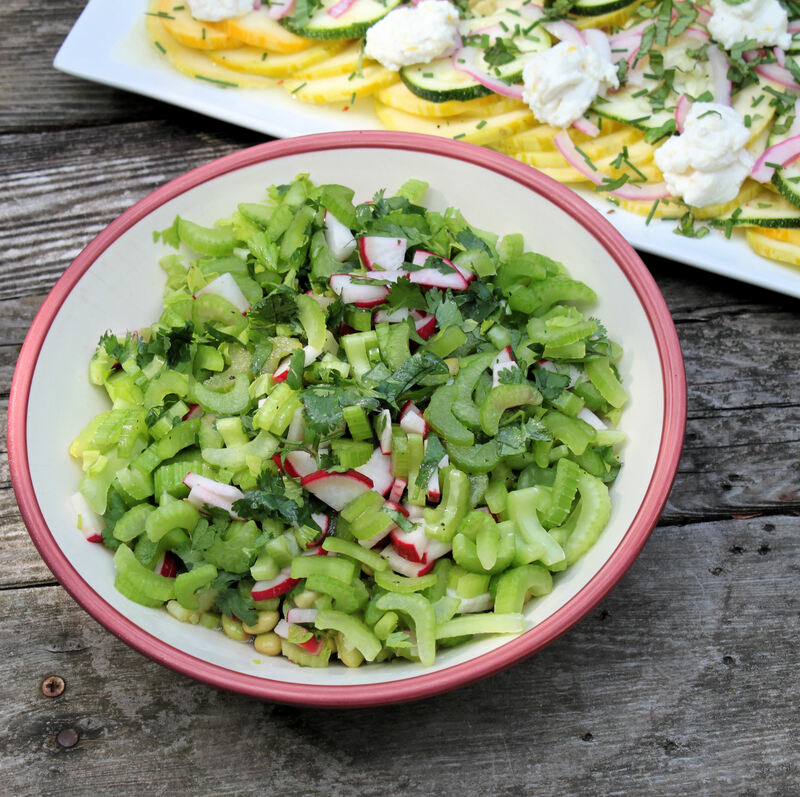 Perfectly simple and can be an accompaniment to many dishes. In a large sauce pan, heat 1 tablespoon oil. Saute onion and bell pepper they are beginning to soften. Add the garlic and continue to saute for another 2 minutes. Remove onion mixture from heat and set aside. Using the same pan, heat another tablespoon of olive oil, and add the rice. Saute until rice is brown on the edges. Stir in the onion mixture, canned tomatoes, and chicken broth. Season with chili powder, cumin, cayenne, and salt. Cover, and simmer per package instructions, 30-35 minutes, or until rice is cooked and liquid is absorbed. Remove from heat and let cool for five minutes before using a fork to fluff the rice. Sprinkle with fresh cilantro (optional). Enjoy!